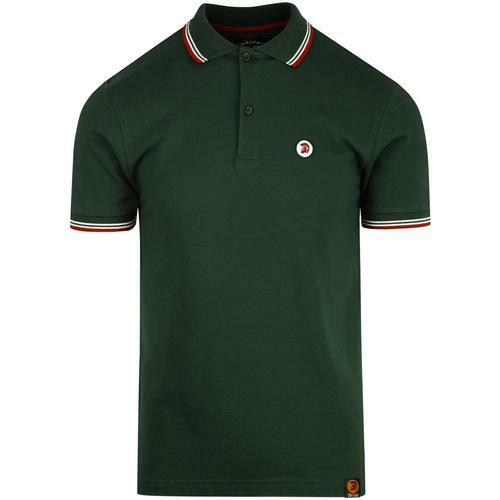 Pretty Green Men's Mod tipped pique polo shirt. 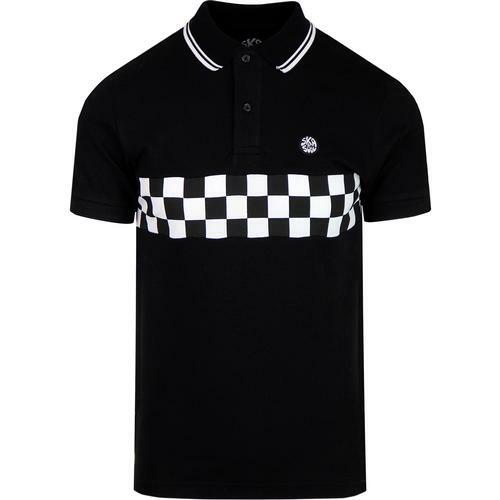 With it's twin tipped collar and cuffs this polo conjures up a truly classic Mod vibe. White and yellow tipping creates a cool contrast against the dusty pink base. 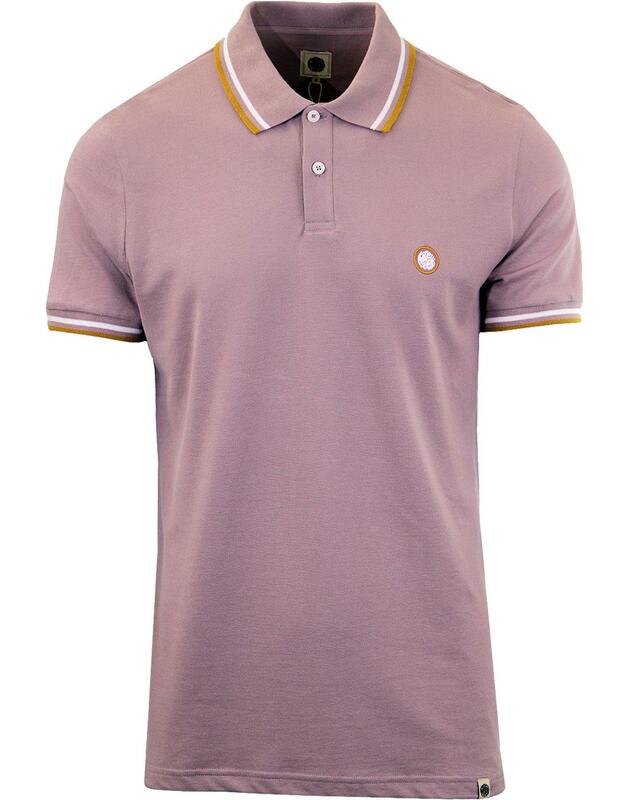 The Retro pop colour signature applique to the chest adds to the visual appeal and a clean looking 2 button box placket draws inspiration from the clean lines of Ivy League attire. Team with some skinny jeans and Mod bomber jacket for a cool and casual Retro look. 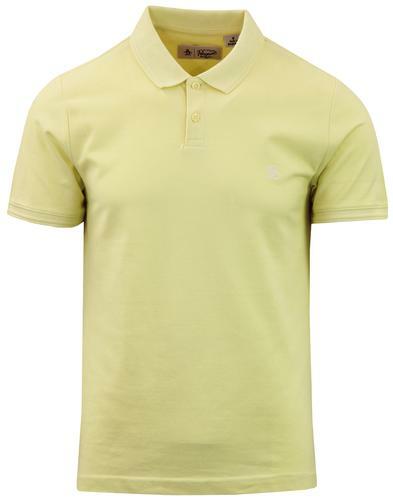 - Twin retro tipping to polo collar and cuffs in white and yellow. 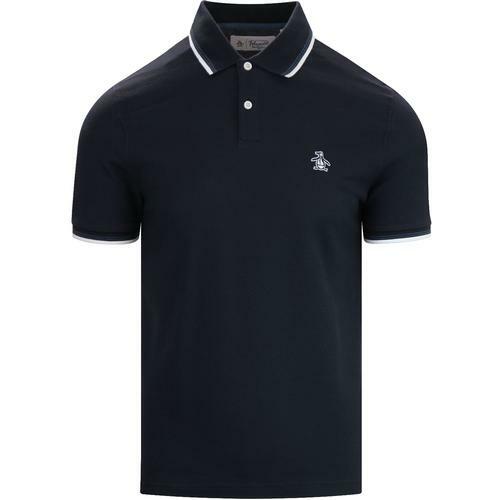 - Two button box placket. 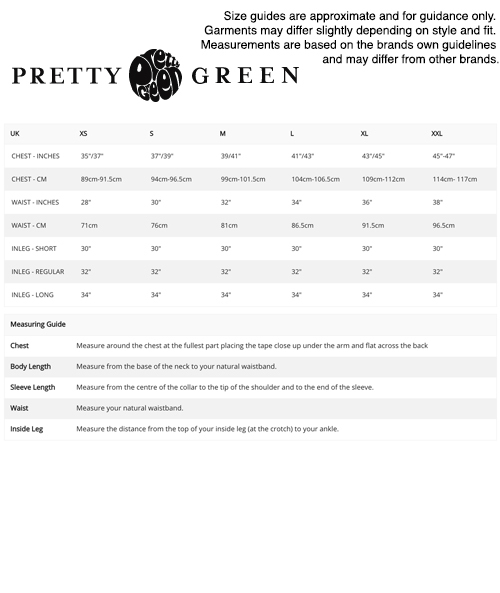 - Embroidered Pretty Green chest badge.